Life in a northern village in the month of July. Neighborhood telephone chain (usually on short notice and weather-dependent), followed by chain of action: uphill for hours, encircling shaggy sheep in the mountains, relentless and yet controlled pursuit downhill, herding nervous protagonists into yard, short break, and, finally, all set for several hours of blade shears work, accompanied by a setting that – as for my part – creates sudden inspirations, including word combinations such as „sheep rodeo“ and „the temporary taming of the shaggy shrew“. 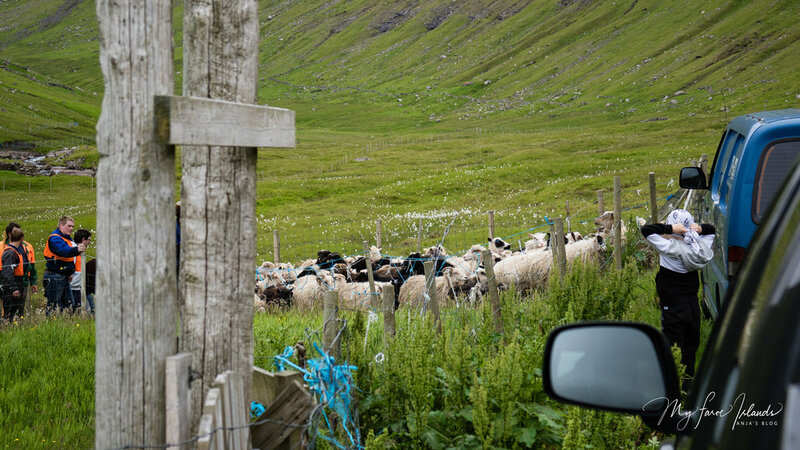 Sheep shearing in the Faroe Islands, first-hand: This is what it takes to do a good job. Four essentials in brief. TEAM SPIRIT, MEN AND DOGS. Needed: Just the right mixture of boldness, vigilance, caution and common sense, in order to be successful for one thing and get back safe and sound just the same. 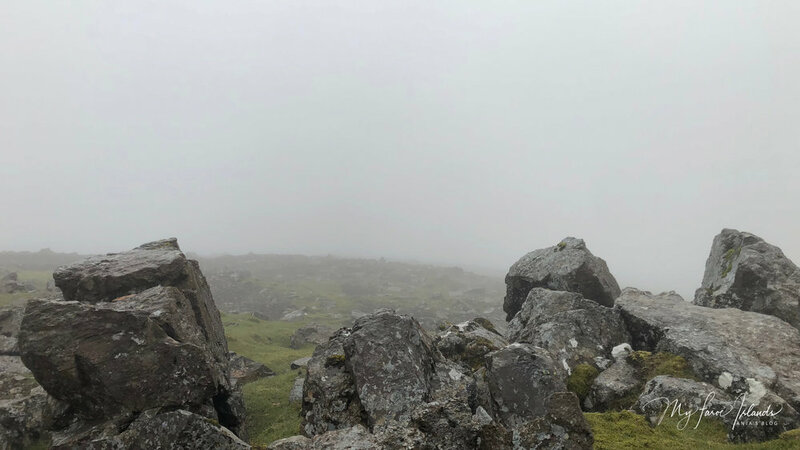 Pictures foggy mountain top scenery and friend and farmer Eivind, together with Malan's untiringly sheep dog Blakk: courtesy of fellow team member Francesco. PROVISIONS. 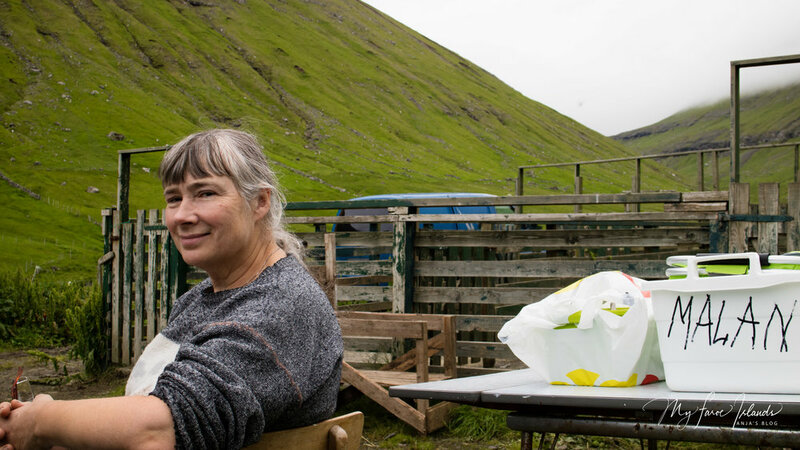 Soft drinks, coffee and tea; pancakes sprinkled with sugar; skerpikjøt, dry-aged Faroese lamb, and bread; all served right after the sheep have been herded into the yard. Equally indispensable: Joint evening meal, quite possibly roasted lamb, potatoes and brown sauce. Dessert: Coffee and ice cream. Or súreplakøka, one big bowl, æblekagerasp (sweet roasted bread crumbs), applesauce and whipped cream put in layers one on top of the other. EQUIPMENT & TECHNIQUES. Walkie-talkies and shouting (communication up in the mountains and sheep dog commands). Outstretched arms (stopping naughty four-legged balls of wool from running into wrong direction). Clipping sheep: Sharp blades. 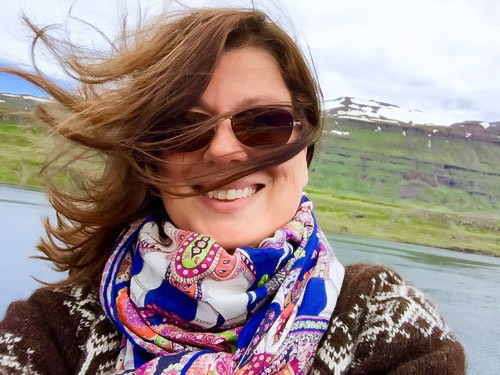 Clothing: rubber boots, hair ties, short sleeve tee and sweater, layered, suitable for Faroese weather, and rubber pants. I rather like to wear an old pair of jeans. Cheerful countryside dress code note: Organic remains such as grass stains and traces of discoloration caused by animal excrement tend to stay in the denim for good. BODILY POWER & ULTIMATE SHEARING PERFECTION. Getting the sheep up on the clipping table, one by one: physically demanding, as the day progresses. Shearing itself: Best done in sets of two 'haircutters'. Next challenge: wool. Wool??? Where to cut without doing damage: Stretch sheep’s shock-headed dress and clip threads appearing between skin and the continuously growing piece of glorious wool mess. 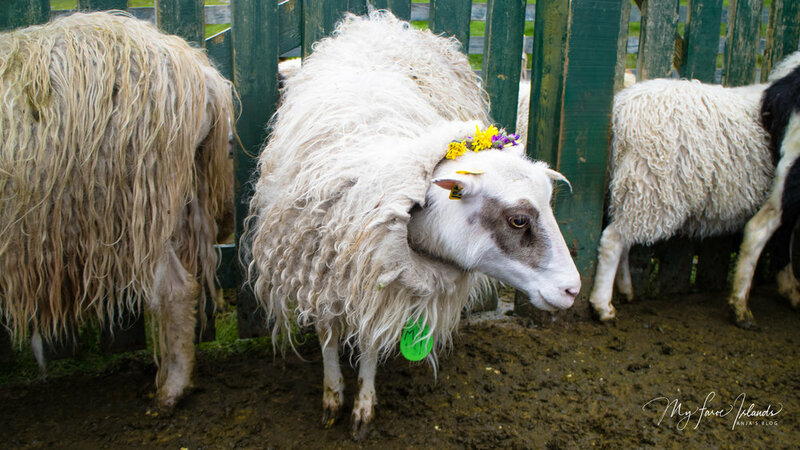 Jumping-jack-sheep treatment: Some soft-talk and gentle head massage frequently works miracles – in my experience. 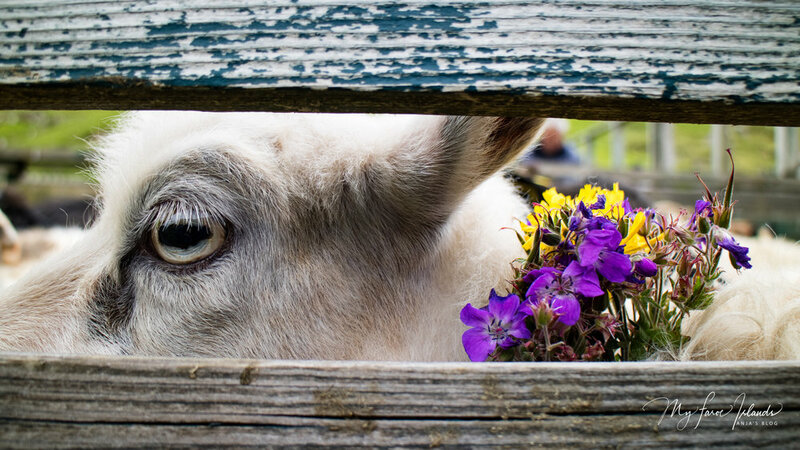 Another practical approach (admittedly uncommon): to bribe the sheep in question. Simply present a dainty bouquet of hand-picked flowers. 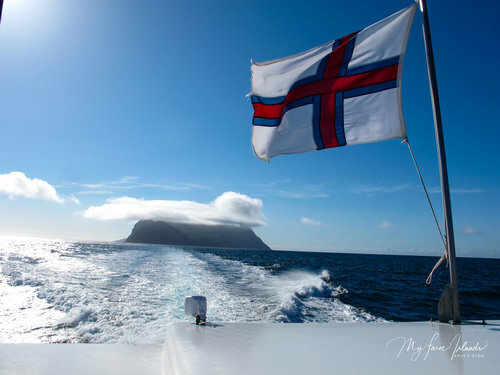 Like I did, on the occasion of My Faroe Islands’ 3rd birthday. 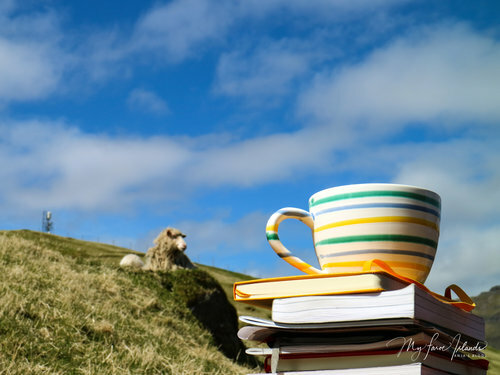 Sheep shearing: The perfect way to celebrate that kind of blogaversary, isn’t that so? 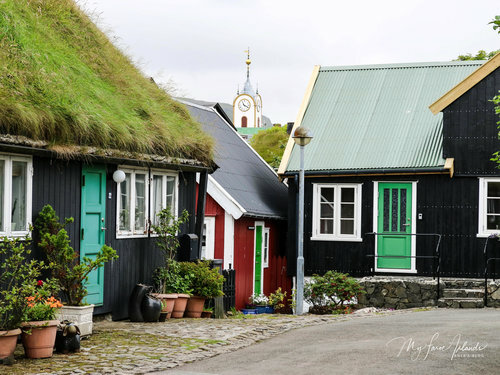 My Faroe Islands, Anja's blog. 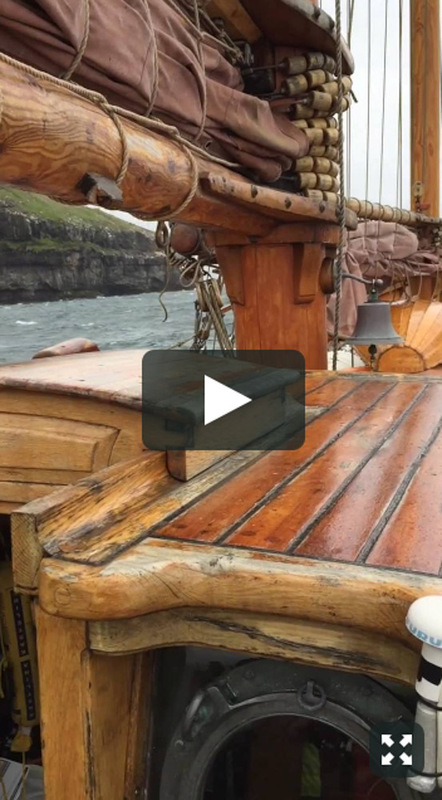 Pictures and stories from a windswept archipelago in the middle of the North Atlantic. 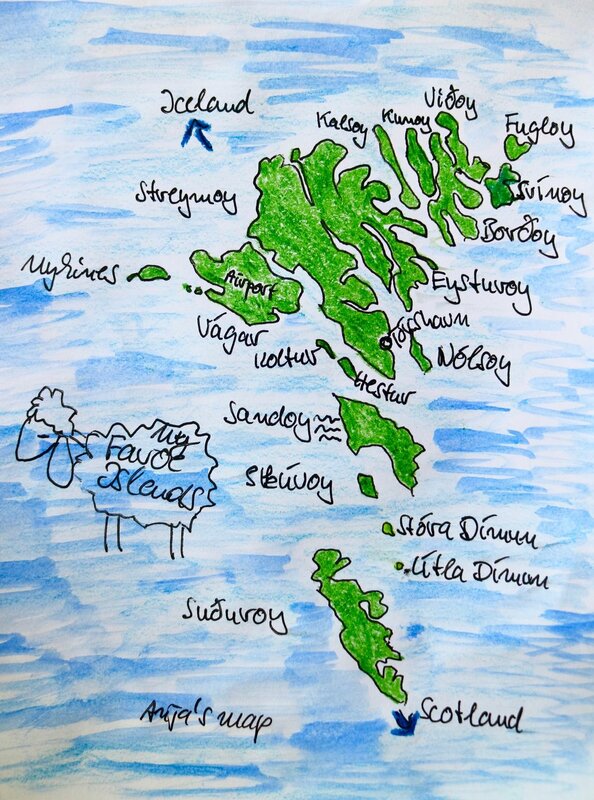 Readers from more than 50 countries taking an interest in 18 lush green, mountainous islands half way between Scotland and Iceland – and in my blog. Thank you for following!